Advanced Dermatology (Lincolnshire) - Book Appointment Online! 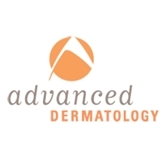 Conveniently located in Lincolnshire and Glencoe, suburbs of Chicago, Illinois, Advanced Dermatology offers the latest innovations in cosmetic and dermatological skincare treatments and procedures in a beautiful, state-of-the-art professional office. Our goal at Advanced Dermatology is to educate by providing accurate and complete information, thus helping you make the right choices for your optimal skin health and skincare. Dr. Kaniszewska was very professional and attentive. She answered all my questions thoughtfully and did a thorough examination. I felt very comfortable with her.